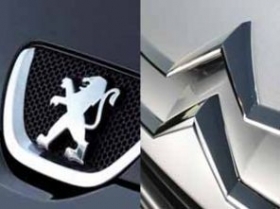 PARIS -- PSA/Peugeot-Citroen signed an agreement to sell its 48-year-old headquarters in Paris as part of a broader effort to raise cash and decrease its growing debt pile. The office, located about 700 meters from the Arc de Triomphe and the Avenue des Champs-Elysees, will be sold for 245.5 million euros ($327 million) to Ivanhoe Cambridge, the real estate arm of Caisse de depot et placement du Quebec, PSA said. The building has about 1,900 staff members, mainly working for the PSA corporate holding company and the Peugeot brand unit. The French carmaker will lease back the building for at least nine years, the company said on Monday. PSA in February announced plans to sell assets after net debt more than doubled in the second half to 3.4 billion euros. PSA last week also completed a 1 billion-euro share sale through which General Motors Co. took a 7 percent stake in the French automaker as part of an alliance between the two companies.